Hello and welcome to our blog Thinglish Lifestyle. 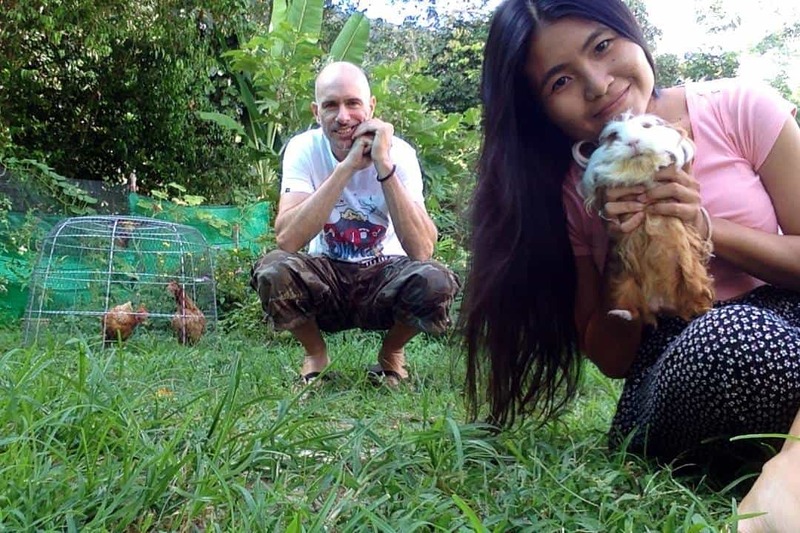 We are a married couple Perry (English) and Katae (Thai) currently living on Koh Chang in Trat province, Thailand. According to Wikipedia, Thinglish is the imperfect form of English produced by native Thai speakers. It is also an amalgamation of the words Thai and English, something like Brad and Angelina – Brangelina, Greek Exit – Gexit or Smoke and Fog – Smog. Of course Thinglish isn’t a science and has no real rhyme or reason. It’s also sometimes spelt Thenglish, Thailish or Thainglish. Our Thinglish Lifestyle blog pretty much says what it is in the title; a lifestyle blog of a Thai/English partnership. If you are a farang (foreigner) thinking of living in Thailand or a Thai looking to marry a farang, you may find this blog is for you and want to bookmark it.